"the names cannot be changed"
✅ Trip Verified | I purchased tickets for myself and my friend from Air France website, which was operated by China Eastern. I couldn't check in and select seats online before the departure, so I only found out that our given and family names got back front in the system the night before our departure. This eventually caused serious loss, inconvenience and panic for us. My complaints to Air France are based on Very inefficient and bad communication service. My friend (whose first language is English) called Air France to address this issue many times on the night before our departure, our call was always transferred to the Air France office in the Philippines. The staff there had limited English, couldn't understand my friend much and it was also very difficult for my friend to understand them. He called more than 10 times, and only figured out the names cannot be changed but we are still not sure the reason. Air France and China Eastern tried to blame each other rather than helping us out. The day for our departure, we went to the airport to talk with the China Eastern. The staff there said names back front happens every day, the airlines can change them for us but it has to be Air France. We called Air France on site a few times with China Eastern staff together, we got the same answer, the names cant be changed because our flights were operated by China Eastern! China Eastern airport staff didn't let us board as they insisted that Air France has to change our names. As a result, we were stuck and had to see our flights leave in front of us, which was one of the most frustrating experience in my life. We eventually went home, called Air France office many times to negotiate. At last, they said the only way they could offer was to make our tickets as a voucher of 3200 AUD, we had to still book Air France to use the voucher. Being desperate, we booked another Air France tickets, the cheapest one is 6600 AUD for two people, which meant we had to pay the same amount of money again to catch the plane that night. Also, our planned trip was greatly disturbed as these cheap tickets meant we had to come back Australia 2 days later, which caused my visa issue (one day overstay in Austria), two days work, and extra two days hotel and food cost. I will never recommend to travel with Air France. ✅ Trip Verified | Frankfurt to Buenos Aires via Paris. 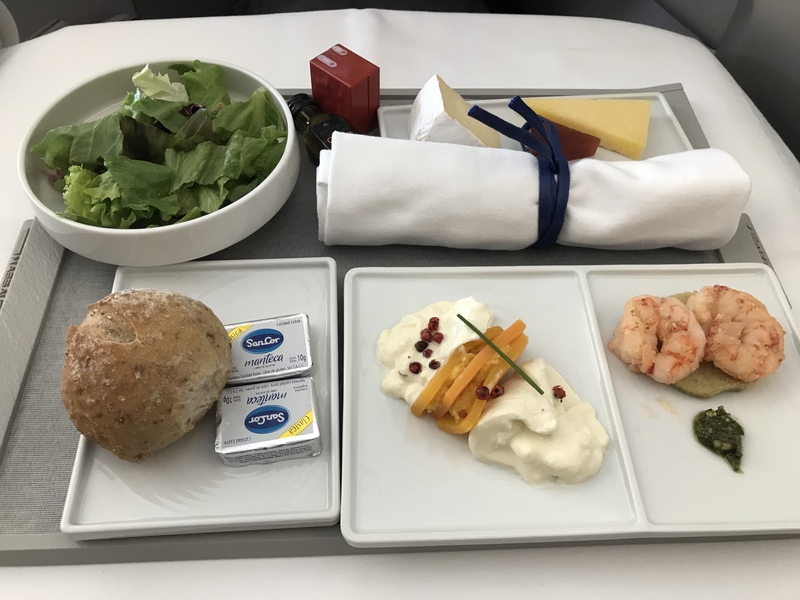 The service attitude seemed to deteriorate throughout the flight: it began with the silent treatment by the crew who would not address pax during service and moved on to simply ignoring them after service. I had the purser in Business Class of Air France tell me I could fetch water myself at the self-service bar when I tried to order. Plates are consistently not cleared so space around the seat is just a horrendous clutter by the end of it. The end of it was that one flight attendant whom I had not seen in the 11 hrs of flight went around the cabin after landing giving me a thumbs up and saying everything ok as if to rate the performance on this flight. 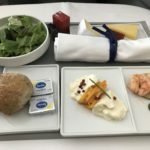 Wouldn’t fly Air France again regardless of the good seat and decent food. The lounge too was a bit underwhelming, with appointments at Clarins Spa and seating being very hard to come by. Had to wait 2hrs for a shower with the lounge attendant apologizing, but how can this be a premium experience? Their customer service don’t seem to respond to complaints either, which is a big no no for me. I would stay away. ✅ Trip Verified | I flew from Paris to Taipei with Air France, the entire journey was perfect. I used the Air France app for the check in which was easy to use. The cabin crews were very polite, friendly and professional. 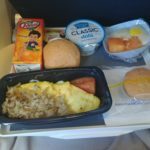 The food served was quite good compared to other airlines and champagne was available even on economy class (free of charge). The aircraft was looking clean with comfortable seat and plenty of new movies on the inflight entertainment system. Thank you Air France. ✅ Trip Verified | London to Nairobi via Paris. I fly internationally about 6-8 times a year over the past 30 years and this is by far the worst airline I've ever flown. The staff (ground and air) were terribly rude, refusing to allow me the hand case which had all my personal items instead wanting to check it through to Entebbe by force. I was also shocked that they would let passengers wait in the cold tarmac and stairwell in the middle of a cold wintry night to board a flight which was already delayed by 2 hours. 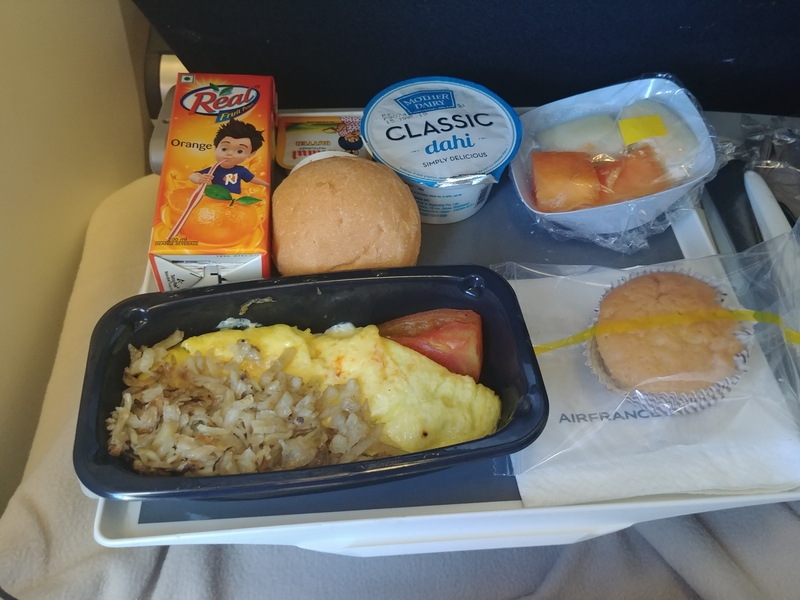 Poor quality service and largely aged airplanes aren't unusual on the African leg of non-African carriers however the way passengers expect to be treated still dumbfounds me and Air France was no exception to this. All this without any apology to the hundreds of passengers who missed their onward flights from Nairobi to Harare, Entebbe, Bujumbura, Zanzibar, Accra etc. Unless Air France and several other carriers change their attitudes to Africans traveling to Africa, I'd recommend they (Africans) take their local carriers from Europe, USA, UK as they are guaranteed great service from fellow Africans in good airlines. ✅ Trip Verified | I was denied boarding at the gate even though I had a ticket. I originally booked my flight with Lufthansa. 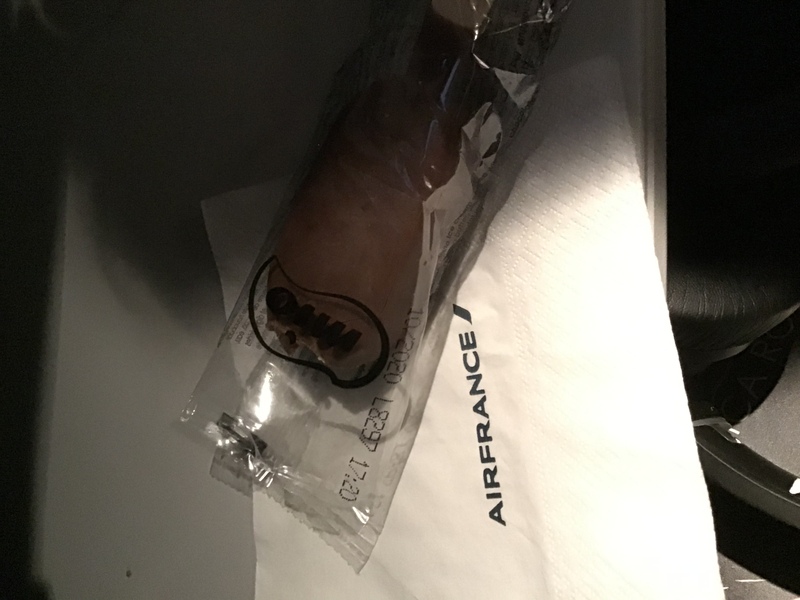 After my original flight was canceled, I was booked to an Air France flight that departs for CDG from ATL at 8:25 pm on March 1st, 2019. I was able to check in online successfully, along with a note that says I will receive my seat number at the gate. When I arrived at the gate 2 hours before the flight took off, I was told by the agent that the flight is full and I was on standby, even though I had a ticket. Very soon, I found out that there are 8 passengers in total who were on standby tickets without knowing so, and were transferred to AirFrance one way or another. Eventually, the flight took off with 7 of us remaining on the ground. The agents at the gate in Atlanta were rude to passengers and spoke to us like it is our fault that we were on standby without knowing because we had our tickets. They were never apologetic, appeared not knowing the procedures, and told me and another passenger that since Lufthansa booked our tickets with Air France, it is not their problem that we did not get on the flight. I have never had contact with such rude staff and been denied boarding at the gate! This is my first experience with Air France, and it is such a shame that a big airline displays this extent of disregard to its passengers. ✅ Trip Verified | Paris to Dublin. Very good overall. Aircraft clean, boarding on time. CDG very nice airport, huge, clean, with lots of staff that can guide you. Counting that got tickets only for €49 with taxes-a bargain. Since I was flying with my little daughter who's suffering from travel sickness very important for me how smooth landing was on our flight from Paris to Dublin. So a kids friendly rating approved. 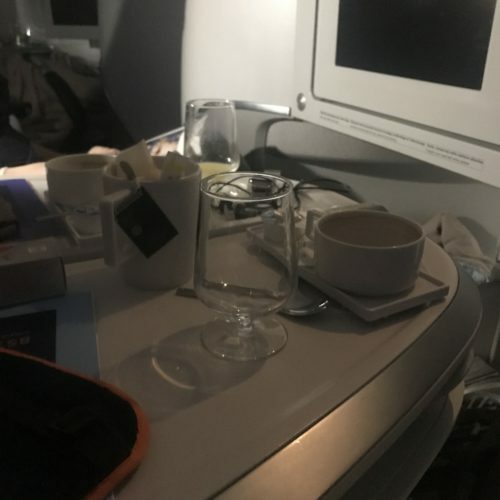 "could not change our seat"
✅ Trip Verified | Manchester to Johannesburg via Paris. We paid to be seated together with extra cost and when we checked in the lady would not listen to us as we should our booking with the seat we had paid for but she just said she could not change our seat as that’s what it show. we then went to customer service at Manchester airport but she also was very rude and not wanting to help. we paid good money for our seat. so we got to France and I spoke to a nice gentleman who said he will try to help which he did then sort our seat to a different seat, not happy as wanted to seat on upper deck which we booked on. on return flight with KLM the ladies said sorry but your seat are already for you but she also gave me different seat. I said I paid for this seat. I was very angry so spoke to another lady and she said your seat are her so she put me back on our seat. why do you charge for seat when you check in you are given different seat when we have paid for second our meals we ordered veg but no food came as they said we have run out. Shame on Air France you charge so much on ticket and you cannot get it right. ✅ Trip Verified | Basel to Seoul via Paris. This is a fantastic airline to fly, the service is great, flight entertainment is decent and so on. I am dissatisfied that Air France sells a ticket to Korea with 40 minutes layover in CDG and the fact that my baggage had to come on the next flight do to this tight transfer ticket that they sold to me. Anyhow the seats was better than any other airline I flew in the past. Plenty of snacks and drink buffet at the rear of the plane for Economy. They provide a free internet access for messaging only but it is really just so slow for it to do Internet browsing and sending emails. You can do those, it will just take a much longer time than buying there internet service for a not so cheap prices. Meal was decent, I mean what can you expect from a Economy plane food from any airline. Well, it was a much more pleasant experience than with Lufthansa. And looking for my trip with KLM in this coming week back to my home. 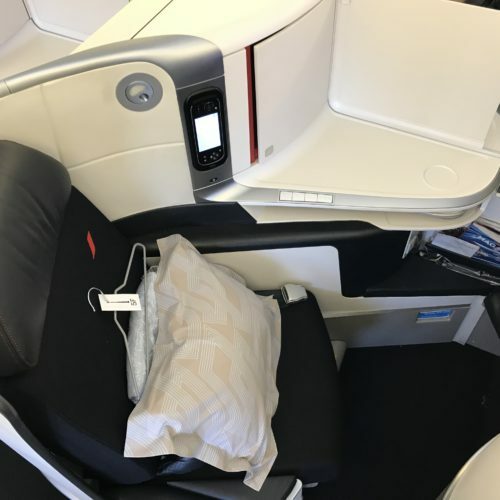 ✅ Trip Verified | The flight from Paris to Sao Paulo with Air France was excellent. Service friendly and professional. Meals and beverages on board were first quality. I slept 7 hours and arrived relaxed into Sao Paulo. ✅ Trip Verified | Munich to Nairobi via Paris CDG. It was my first time, flying Air France and I got a good impression on both a European and international route. Booking was through KLM, which caused quite a bit of trouble, as by that time, online booking was not working. Booking via a telephone was new to me, but worked out fine. Check in at Munich Airport was very fast and efficient. Once I arrived at the gate, I was told the flight was 30 minutes late, but I was amazed how good both the ground staff and the pilots tried to get back in time. We arrived 5 minutes late in Paris. The A318 is extremely small and seating is not very comfortable, but the friendly steward made that up. Snack was two small muffins, extremely tasty and satisfying. Transiting through CDG is not the best, but worked out fine. Flight from CDG to Nairobi was a 7 hours and 30 minutes red-eye flight, very smooth, again with extremely nice crew members. Although I don't speak any French, I felt very welcomed. IFE system is good to handle with a big variety of movies and music, I did not use it though, because I slept through most of the flight. Food was not outstanding but not bad either. 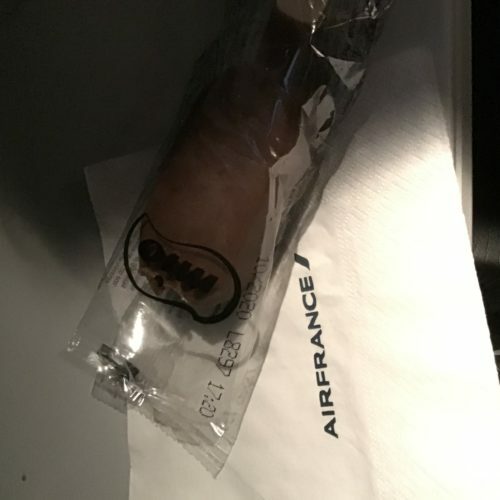 I heard so many bad things about Air France beforehand, but I actually enjoyed my flights. Would definitely fly them again!